The Cornilleau Sport 300S rollaway outdoor table tennis table is manufactured in France and approved for leisure use by the French Table Tennis Association (FFTT). 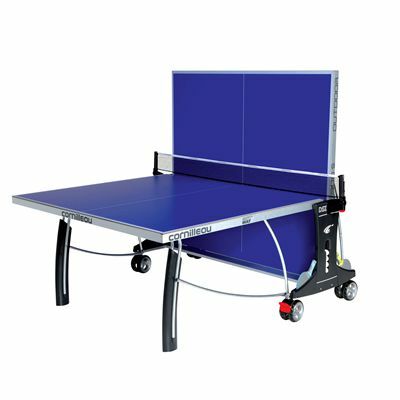 The table comes with a fixed net that is height and tension adjustable and automatically pivots when the table is opened and closed. It is also equipped with 100x60mm arched legs and has compartments on both side of the table where you can store 4 bats and 8 balls. 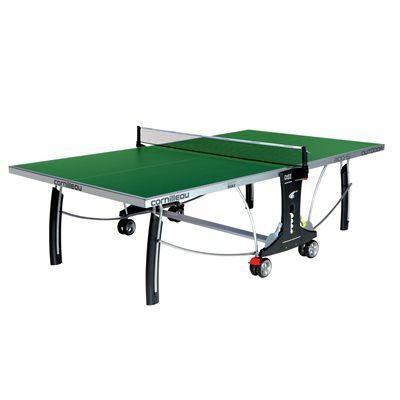 The DSI system with 16 locking points guarantees unmatched safety making the table fully locked both in playing and storage positions. 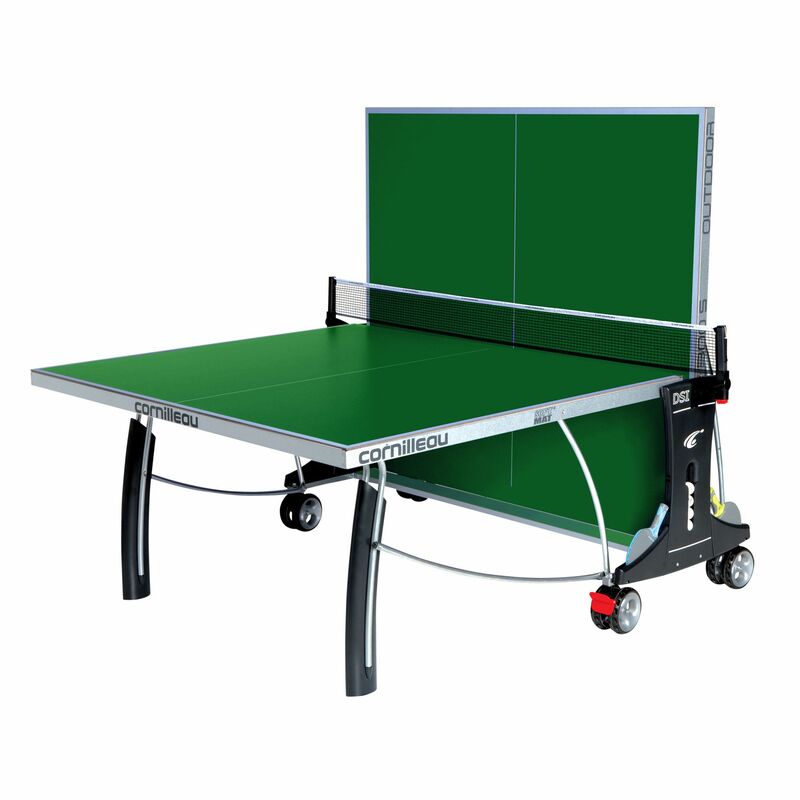 It also features a central release handle that makes opening and closing of the table extremely easy, which is additionally facilitated by the Compact Technology that reduces the risk of tipping and makes the table easy to store when not in use. 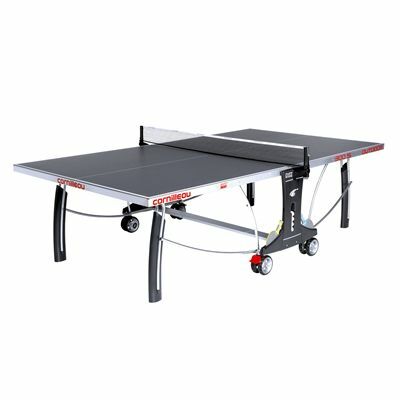 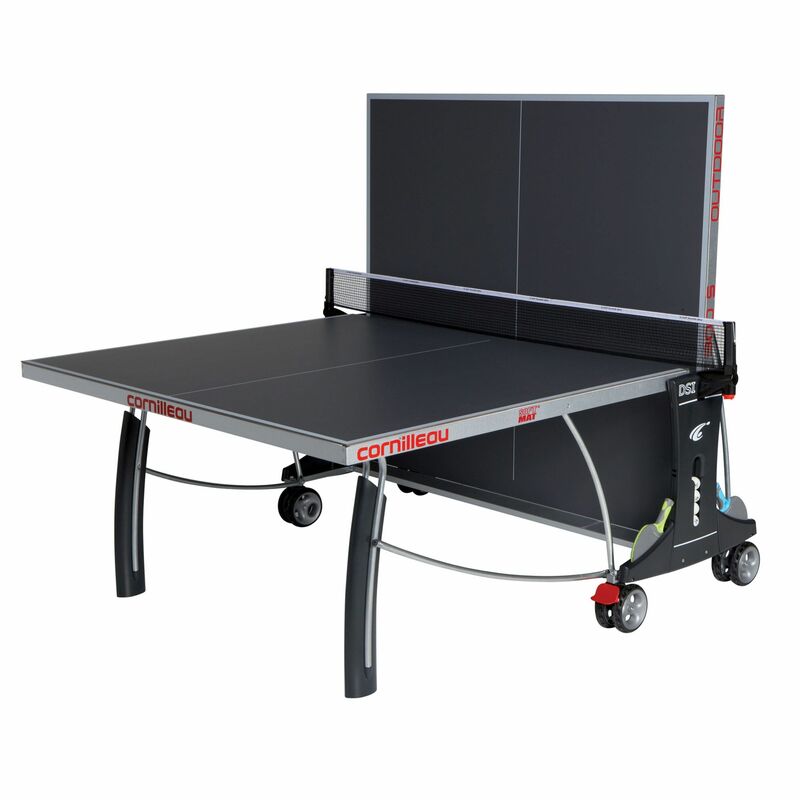 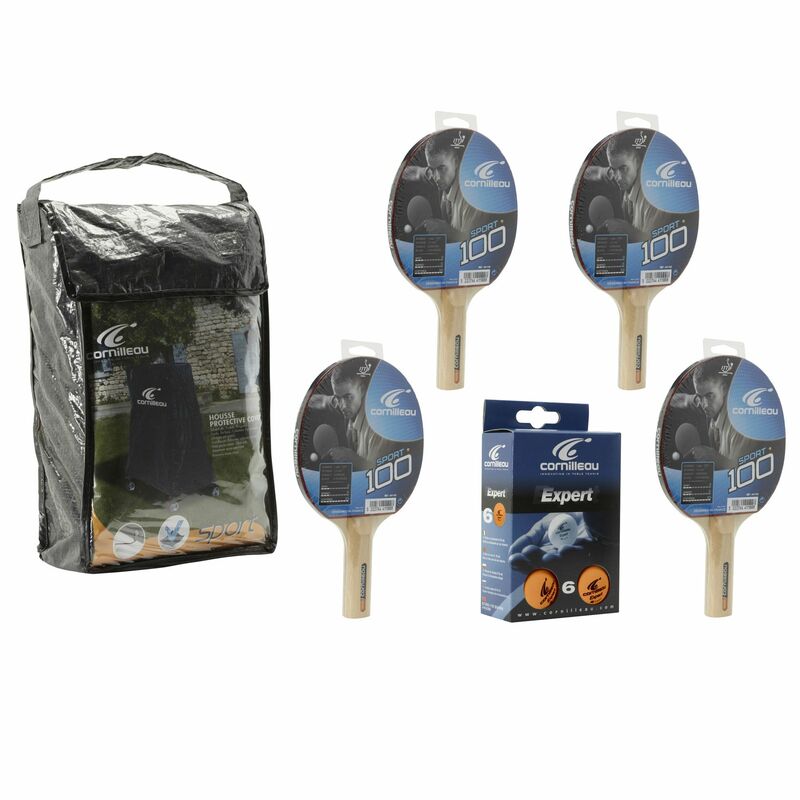 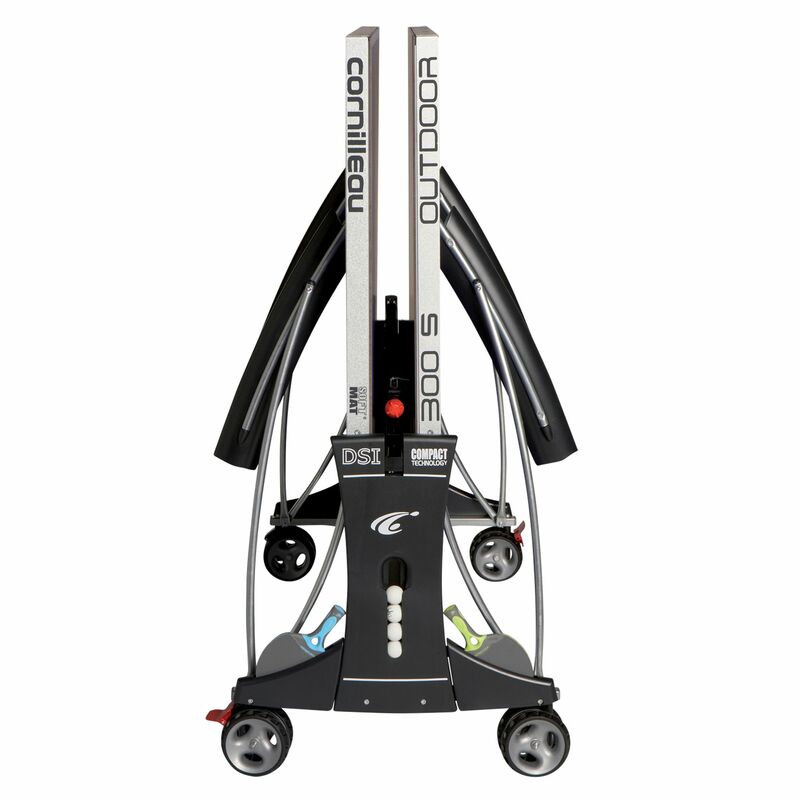 The Cornilleau Sport 300S is supplied with the Cornilleau Accessory Set which includes Cornilleau 100 Sport Table Tennis Bats, 6 Expert Orange Balls and the Cornilleau PVC Table Cover ensuring excellent protection of the table. 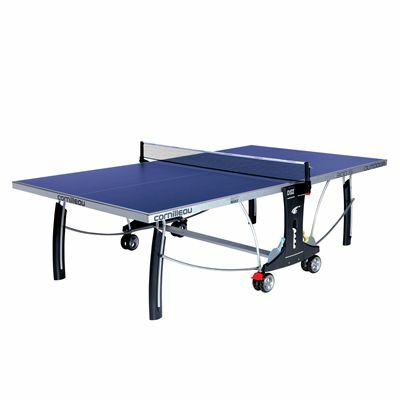 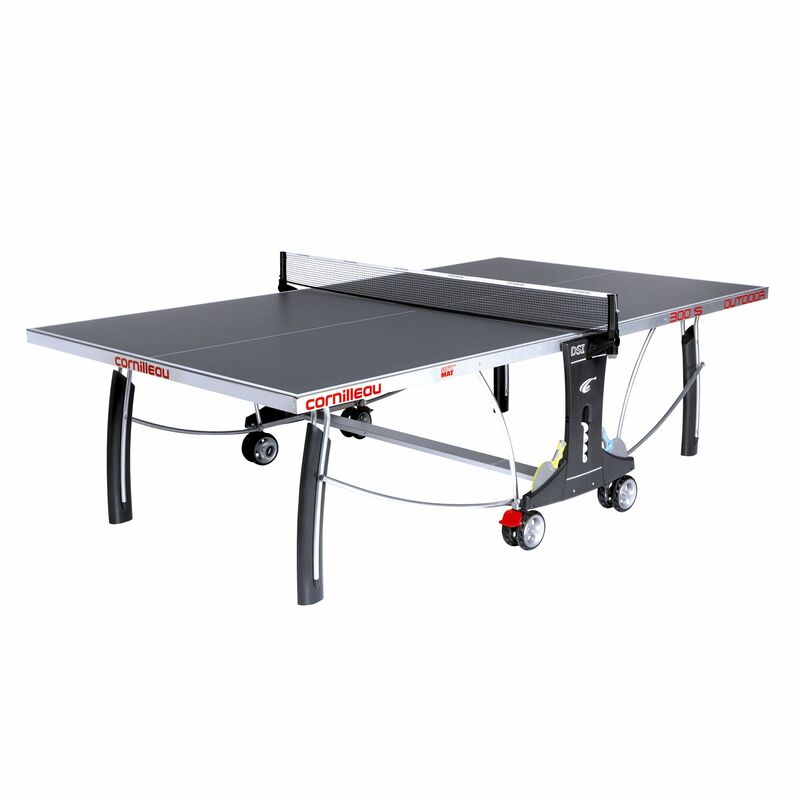 for submitting product review about Cornilleau Sport 300S Rollaway Outdoor Table Tennis Table 2013.